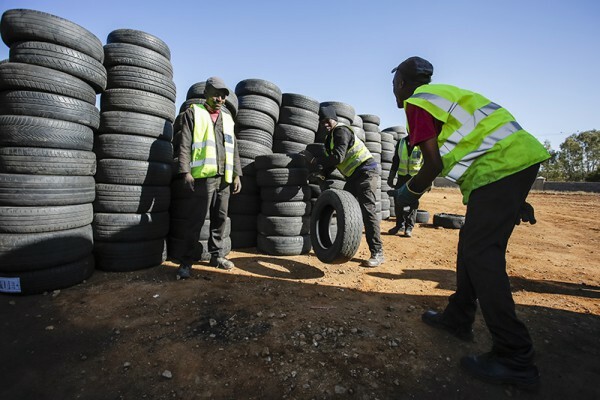 By resolving the waste tyre problem through a circular economy approach, REDISA is developing opportunities within the technology sector. There is a difference between using technology as a business to be efficient, and making full use of it to develop a whole industry. 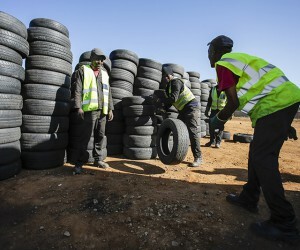 REDISA (Recycling and Economic Development Initiative of South Africa) has fundamentally changed the way South Africa handles tyre waste, and serves as an example to the world. Without technology, this would have been nearly impossible to achieve. REDISA’s operating system received global recognition in 2014, winning the Oracle Sustainability Innovation Award for innovative use of technology to minimise a company’s carbon footprint. Nokwanda Phiri was one of the first interns to have benefitted from the Oracle Graduate Programme. “After graduating with an IT degree, with no work job experience I found it challenging to find an IT job, however through the Oracle Graduate internship programme I was able to gain practical workplace experience and to realise my potential. In brief, that is where my passion for training IT interns was born. Years later I then started my own business, iMbasa IT and Training Services. iMbasa IT keeps taking on IT graduates so as to help them gain practical on-the-job training and imparting some of the critical skills in the IT industry. This exercise is obviously not without its challenges, one of the major challenges is getting companies that are willing to bring interns to their premises to gain practical work experience using their systems and also funding is at the centre.” says Nokwanda. “I am grateful for the opportunity I had to work with REDISA. During this period while I was at REDISA my company iMbasa IT took six unemployed IT Graduates to give them practical training in Oracle Applications so they can gain experience in IT. REDISA was kind enough to let some of our interns to come and gain practical workplace experience. Using REDISA’s systems they managed to do real tasks, with real deadlines. The interns learnt so much in a short space of time and grew fast. They were so grateful to be given this opportunity to gain work experience. As a company we were able to hire some of them. This not only helped them but also helped us to grow as a company. At REDISA even my own IT experience improved greatly. It was nice to be part of the solutions forums, building something new. I also gained more experience using different Applications I didn’t have experience using them before such as Oracle Transportation Management, Service Oriented Architecture, Oracle Service Bus, as well as Web services. I also gained a lot more experience Integrating different Applications. Practically, we were able to design solutions well enough to ensure that different applications can communicate well with one another but ensuring that the user experience is the same, as if it was all one application. Also learnt some good error handling and error reporting strategies which are crucial for integrated systems. By being at REDISA a whole new world has been opened to me. The knowledge I gained through REDISA is priceless. When I look at my business and the graduates we have helped to gain work experience, I can only say thank you to REDISA for letting iMbasa IT be a part of their story,” she says. Within two years the REDISA project has seen 22 interns gain valuable experience, and 18 of the have moved on to formal employment and other projects. “We look forward to continuing to work with our partners in government, business, as well as consumers and NGOs, as we continue to create jobs and develop small businesses,” says Stacey Davidson, REDISA director. As Nokwanda’s business continues to grow, her goal is to continue to be a role model to young people, and to make a real change in the community by helping others.